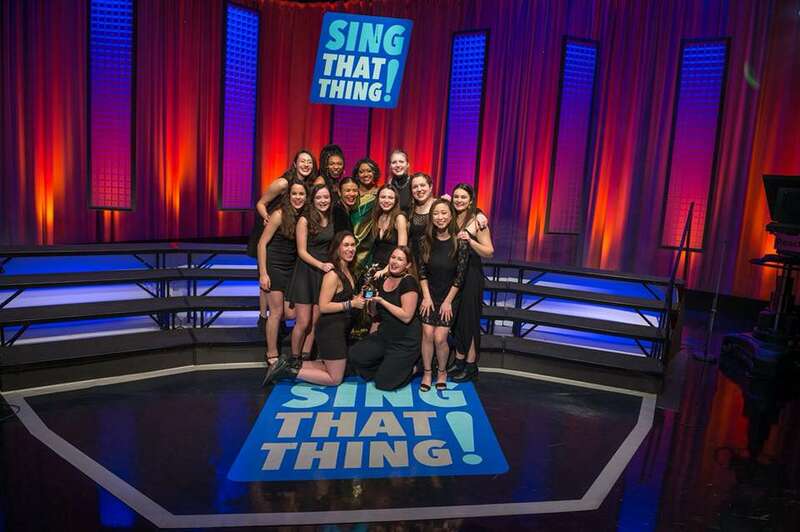 Bowdoin College's Miscellania Crowned Collegiate Champs Of Boston's "Sing That Thing!" Bowdoin College can officially add reality television champions to its list of accolades. That's because its all-female group Miscellania was recently crowned Season 4 College Champions of WGBH's "Sing That Thing!" The program, hosted in partnership with PBS is a singing competition that invites vocal groups from all over Boston each year to take part in a televised competition to find the best high school, college and adult vocal group. Groups are judged by a panel of three judges, who also act as on-air coaches, consisting of prominent and award-winning music directors, vocalists and television hosts. In the college competition, the grand finale came down to two groups, Brandeis University's Starving Artists and Bowdoin College's Miscellania. Starving Artists performed an energetic and dynamic rendition of Paloma Faith's "Stone Cold Sober" while Miscellania delivered a colorful and pulsing take on Delta Rae's "Bottom of the River." Ultimately, it was Miscellania who took home the crown. The judges applauded the group on their "fiery intensity" and commended the vocal group's ability to act as "one unit." "What an incredible and unforgettable experience. Thank you to WGBH for having us and our family and friends for supporting us along the way!" To watch the full performance visit the following link. The collegiate portion begins at the 9:41 mark.